Made to order Ovens, Furnaces and Mobile Heater Units. Contax has worked with Caltherm since 2004 and has supplied many ‘made to order’ ovens to our customers. 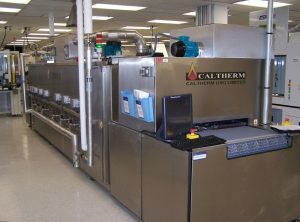 Whether your application requires an in-line conveyor oven or a batch type, Caltherm can manufacture to your specification and can control the temperature and humidity profiles that your process needs. Thoughtful, innovative design, robust construction and years of experience are the factors that set Caltherm products apart. Contax have being supplying McDry Dry Storage cabinets for a wide range of industries for 12 years. Partners, Seika-Sangyo, assist Contax to specify the correct model for the application. Standard models can maintain 1% RH using powerful moisture absorbant. 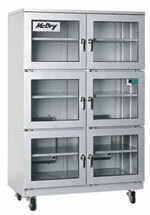 Recent developments have included the addition of temperature controlled cabinets to the range. All products are built to a high standard and are robust and accurate.